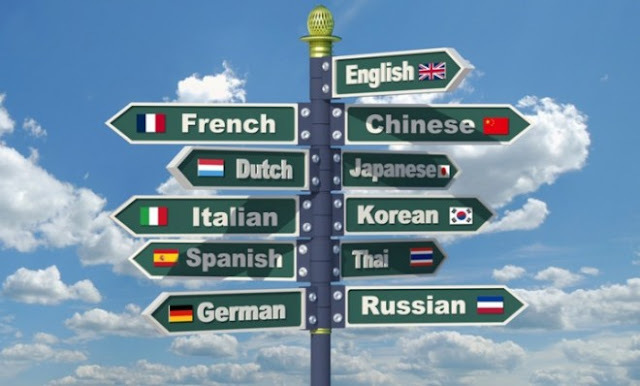 Why Should You Choose a Translation Agency? A translation agency provides translation services. This term is often used interchangeably with translation company or localization agency. A translation agency provides translation services and manages translation projects for clients. Some translation agencies may also provide interpreters, multilingual desktop publishing (DTP) and other language related services such as website translation and software translation. ·Efficient Work: You don’t have to take long-term risks of hiring employees, workflows, upfront investments as well as tools. Rather, you can leverage all your energies towards improving all kinds of products, services as well as your market shares. Through the help of professional linguists the work will become flexible as well as the output will be much faster compared to the in -house team deployed by any organisation. ·Consistency: The challenge of the language support consistency too can be managed with the help of the language translation firms. As a company, the employees and team will often change and leave thus creating a question of the calibre and performance of work. The consistency level is often different from one person to another person. In this case, one might find problems in the use of language. It will be very confusing for the customers to adapt the change. ·Language specialisation: Expertise in translating into and from one specific language. 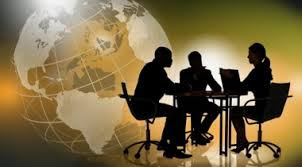 In a translation company there is a huge team of translators who are well versed in different languages and have significant experience of working with different languages and industries. ·Reliability: With translators you are dubious of the quality you will receive and you also have to go through a rigorous selection procedure to ensure you are picking the right person. This may require a huge investment in time and resources. Working with a translation agency is easier because you do not have to spend additional time searching for the right translator and you also do not have the uncertainty of the quality of work. · Saves Time and Offer Security: What is most important is the delivery of the projects on time. Through hiring a professional translation agency all your work will be carried out in proper time. As soon as the project is started these agencies will align their translators to work in coordination and deliver the work within the given deadlines. Businesses which are failed to impress target audiences should review their Marketing and Public Relations (PR) activities. The only thing constant in this world is ‘Change’ and PR is also changing rapidly with the ongoing advancements in the world of marketing and brand development. PR in 2016 is drastically different than the PR of 2006. That’s why, top PR agencies in India and abroad are making great efforts to revamp and re-engineer their services and work tactics. Today social media is the high-speed vehicle for the digital PR that’s fuelled by super content and driven by the growth-hackers on a digital track, straight and break-free. Digital Marketing is the turning-point of public relations growth in the realm of unconventional marketing and branding. And, it is the power of content that pushes PR in both traditional and digital format. Strategic, interactive, stimulating, engaging, and effective content is the catalyst of every marketing campaign. Creative content rules the world and gone are the days when people were not annoyed by the clichés and uncreative jargons. Right from the birth of a brand to its growth and maturity, the content creator should be creative enough to weave the story of a brand. Story attracts people but boring details distract the target customers. Now PR agencies can create a buzz using all types of communication media and content types in a variety of media vehicles. Integrity in communication depicts strength and coordination and no doubt PR is heading towards the absolute integration of print, electronic and digital media. Hence, for a successful campaign there should be a uniformity in all the messages irrespective of the media or marketing vehicle. Whether it is the promotion of a brand on social media or participation of the same in an exhibition, its theme must remain same yet unique. In the nutshell, the content must have the freshness of ideas but it should be weaved very strategically that campaign on print media must support the campaign on social media or electronics. The world is evolving at the speed of light, but there are many organisations still stuck in the traditional PR format for branding and image building. Yes, it is absolutely true that media relations play a vital role in effective PR propositions, but it is not the be all and end all of PR in the modern contest. Those who are recognising changes are benefiting from the revolutionized PR models in the digital age. The new model of PR is armed with right weapons of social media and mobile applications such as blogs, online forums, discussions, online gaming, video releases and many. How should you approach doing PR?